It’s home to millions of people who lack even one lamp, but also a frontier of great change and innovation. How much do you know about sub-Saharan Africa’s energy potential? 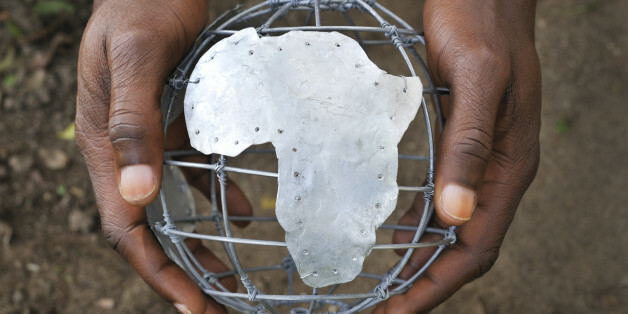 Article: Is Africa Leading the Innovation Revolution? View a larger version of this graphic here. 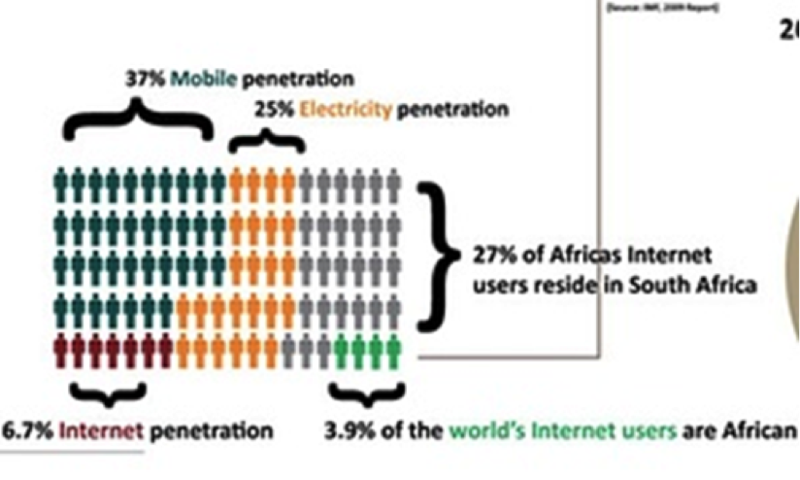 In Africa, mobile phone penetration is higher than electricity penetration. Graphic by Jon Gosier of Appfrica Labs Public Domain, The Guardian, 2009.One of the biggest innovations to come out of Africa is mobile money transfer, which has disrupted traditional financial models. The technology behind it has now been exported to the West. The continent is starting to see the rise of e-healthcare solutions and online education solutions, two of the biggest challenges on the continent. However, as the technology and innovation boom hits Africa, there is still a gender divide, and we need to ensure that women and girls are part of this revolution. It’s a prime opportunity to use technology as a catalyst to create inclusive economies, and income inequality. There is a need to create gender-inclusive technology and have women become part of the design and development of technological solutions. There are many programs on the continent leading this charge, and there is an opportunity for Africa to become a leader in gender equality in the technology sector. The other challenge for Africa is to preserve its ecosystems, which have been under threat due to rapid urbanisation and economic development at the expense of the environment. The latest WWF African Ecological Futures Report makes it clear that we are at a pivotal moment in our development trajectory to balance growth with conservation. It is an exciting time for the continent. Under the Africa rising narrative, in the coming years we will witness how technology can transform the way Africa works and revolutionising the continent. This post is part of a series produced by The Huffington Post and The World Economic Forum to mark the Forum’s Annual Meeting 2016 (in Davos-Klosters, Switzerland, Jan. 20-23) and in recognition of the Forum’s Global Shapers initiative. The Global Shapers Community is a worldwide network of city-based hubs developed and led by young entrepreneurs, activists, academics, innovators, disruptors and thought leaders. Aged between 20 and 30, they are exceptional in their achievements and drive to make a positive contribution to their communities. Follow the Global Shapers on Twitter at @globalshapers or nominate a Global Shaper at http://www.globalshapers.org/apply. Read all the posts in the series here.